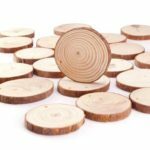 These wood discs are perfect for adding creativity to your scrapbook pages and handmade cards. Both sides are sanded to a smooth finish which are ready to paint, signature, decorate, stain, or simply leave plain. Unpainted natural round blank pine wood, pre-sanded and polished. 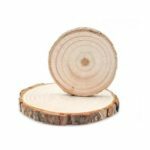 Wood slices are dried and polished on both sides, sot he surface is smooth and the outer edges are wrapped with the bark. 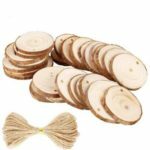 It is natural that some wood bark may fall partially from the slices. 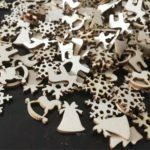 Can be used in DIY crafting, hand-painting, wedding decoration, photography props, coasters, Christmas ornaments and so on.